Shaping Up in Michelle’s Junior Infants! We have been learning all about 2-D shapes in Junior Infants. We went on a shape hunt around our building and found lots of examples of squares! 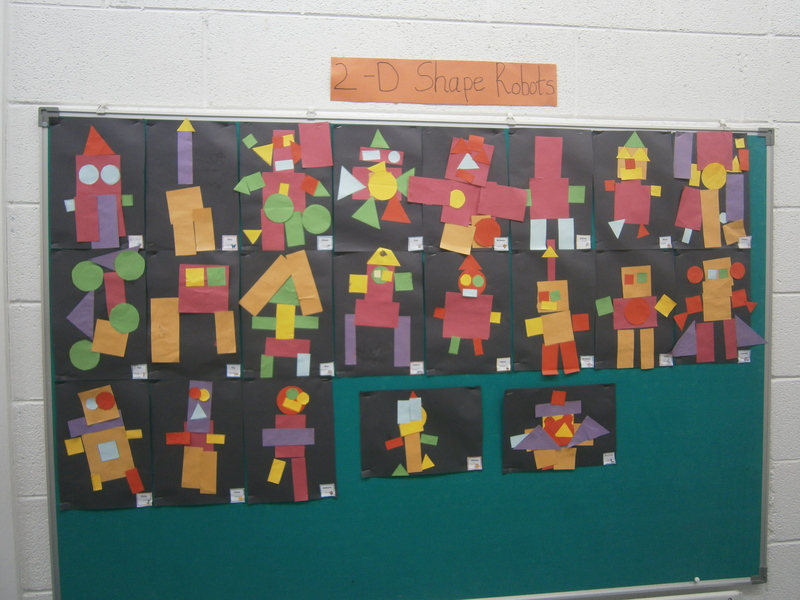 We also made paper collage robots using the 2-D shapes we now know – the square, the rectangle, the circle and the triangle.